As part of Hillingdon’s £145 million secondary school building and expansion programme, one of the largest in London, the council has invested £35 million in constructing a new site for Northwood School, a secondary school in Northwood. 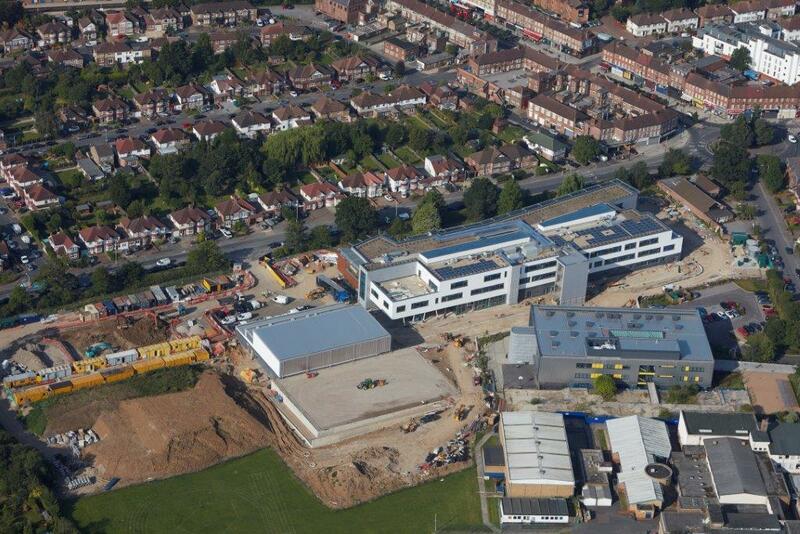 The new school building will accommodate 1,050 pupils when it opens this autumn. It has three storeys, measures 9,800 square metres in size and will promote an academic focus on performing arts. A stage area with retractable seating will be at the heart of the school. Additional arts facilities include an outdoor amphitheatre and performing arts/music specialist rooms. In total there will be 53 classrooms, including science rooms, a science garden, specialist design and technology rooms, a spacious library, sixth form study rooms and social areas, special educational needs rooms, a large art room and an outdoor learning terrace.